Uftring Auto Blog: Happy 50th Ford Mustang! Last Thursday, April 17, was the 50th anniversary of the Ford Mustang! 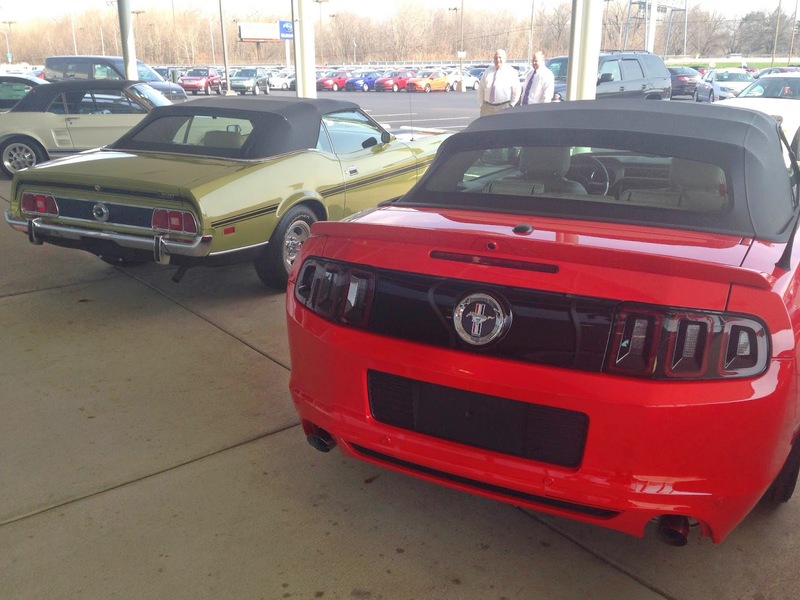 We hosted a celebration of the infamous Ford Motor Company model – it was a day full of Mustangs, both old and new. 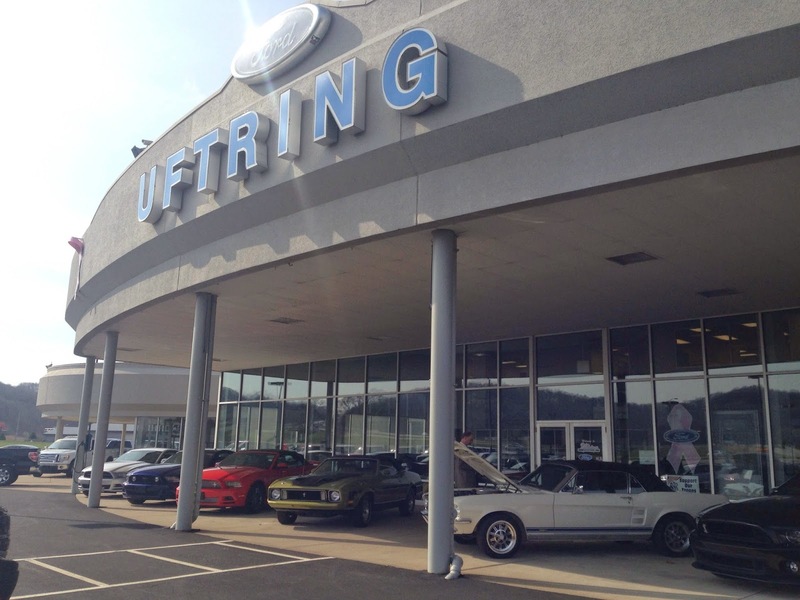 Beginning with a special cake ceremony at 9:30 a.m., the Uftring Automall showroom was full of incredible Mustang machines. 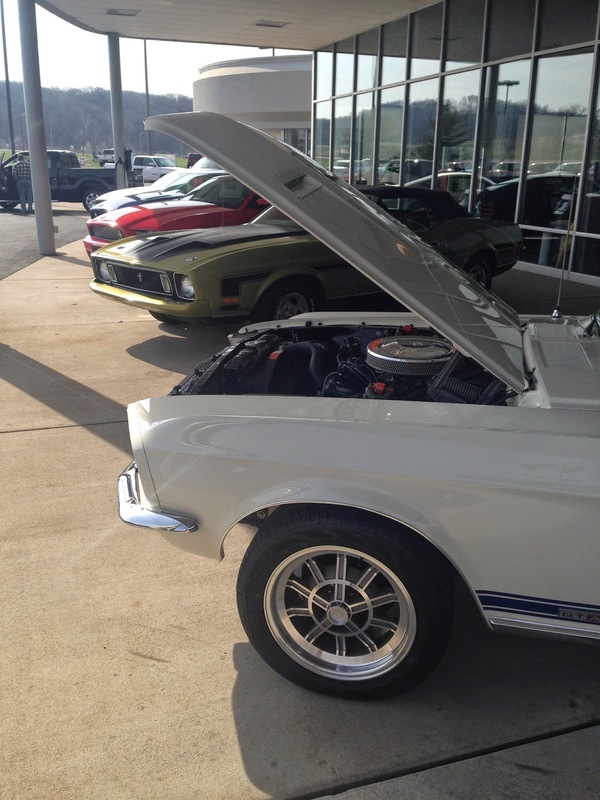 From the newest models to aged Mustangs build decades ago, we had a huge variety of vehicles for our Ford enthusiasts to look at. The Mustang has been such an important icon to both the Ford Motor Company and the Uftring Auto Group. The very first Mustang was premiered on April 17, 1964 at New York’s World Fair! The one-millionth Ford Mustang model was quickly produced just two years later on February 23, 1966. Over 22,000 Mustangs were sold on the day Ford released the Mustang for sale. That’s an incredible sale number, especially back then! The mustang has evolved through time and has changed the sports car industry forever. The Mustang is an important part of automotive history and continues to be just as exclusive and popular as it was in years past. The newest Mustangs have revolutionized the sports car model completely, expanding its capabilities and horsepower while pushing the technology and the power of a Mustang to its limits – and beyond. We thank those who came out to help us celebrate 50 years of the Mustang, and we thank those who have purchased Mustangs from Uftring Ford all these years. 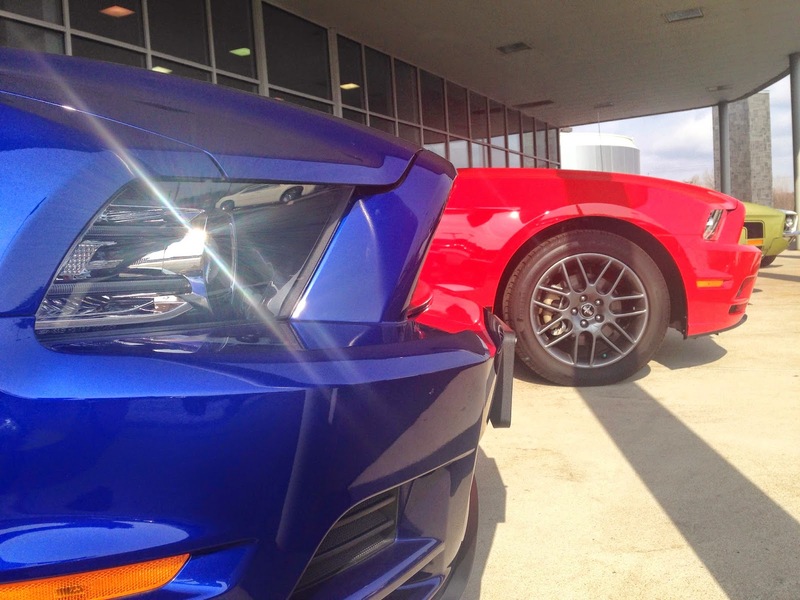 Which Ford Mustang means the most to you?